There are plenty of companies that create synthetic putting greens for homeowners and commercial enterprises alike. However, those who have the money to afford one of the best putting greens in the world will not want to settle for anything less than the best. There are several factors that set our company apart from the competition. To start with, our artificial putting green does not, in any way, shape or form, look artificial. The synthetic turf looks as real as genuine grass, only it does not require water and the high level of maintenance that a genuine golf green would need. Additionally, we can create or replicate literally any design of your choice. Whether you want the 17th green at TPC Sawgrass, a replica of Tiger Wood’s now-famous backyard putting greens or a golf course design of your own making; our skilled, experienced design team and installers can give it to you. 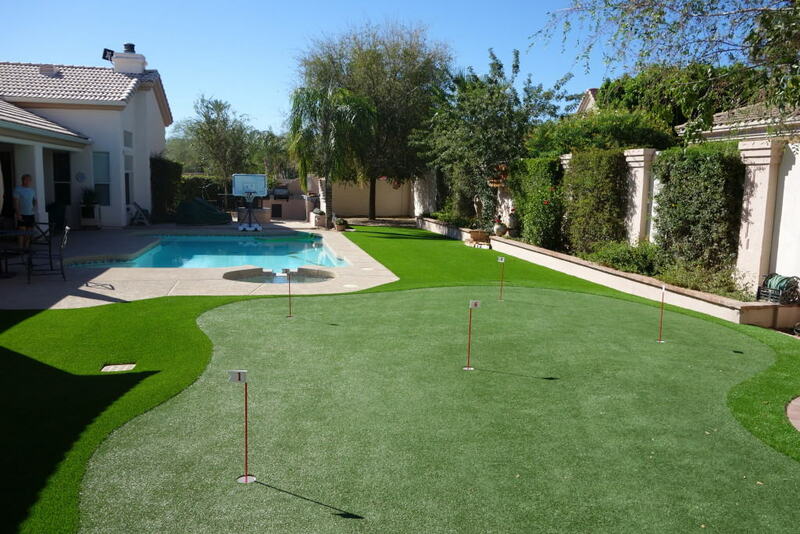 Other companies that sell and install synthetic putting green boast of their ability to put in thousands of square feet of artificial turf for five star hotels and resorts. Our company, on the other hand, works with much larger spaces than other commercial enterprises. We can install tens of thousands of square feet of artificial turf at a time and our expertise in this area cannot be matched by anyone. Our services cater to the needs of individual, wealthy clients who would like to own a synthetic lawn, putting green or short golf course. We work closely with our clients throughout the entire creation process to make sure this is a signature project. A putting green made using artificial grass not only looks good but requires little to no care and maintenance. Those who want to transform their property and and want the luxury of extraordinary private golf should not hesitate to give us a call. We specialize in high end artificial lawn putting greens and can create an unbelievable experience on your own property.